Phil Ochs once told a friend he “went to New York to become the best songwriter in the country, and then I met Dylan and I decided to be the second best.” Unfortunately, nobody remembers who finished second, but “Phil Ochs: There But for Fortune,” a new documentary about the singer-songwriter, is here to tell people of the man’s greatness. “There But for Fortune” follows Ochs from his less-than-perfect childhood, with a mother who couldn’t be bothered and a father suffering from post-traumatic stress disorder. Ochs very nearly followed in his father’s footsteps, attending a military school, before heading off to Ohio State. It was there that he was introduced by his roommate to folk music, and from whom he would win his first guitar in a wager on the 1960 presidential election. 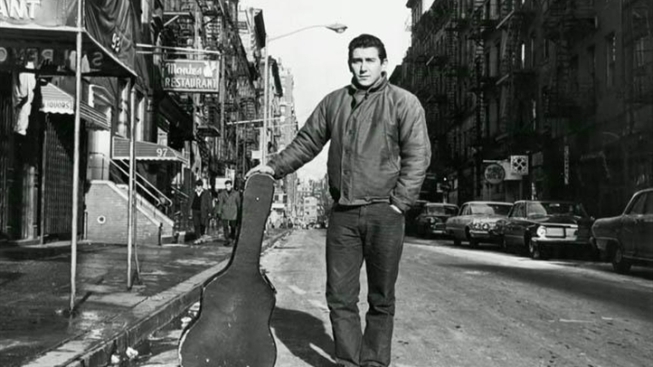 Ochs was soon hooked and decided to move to New York to become part of the nascent folks scene growing in The Village. The film chronicles Ochs' complicated relationship with Dylan, whom he greatly admired even though Dylan scorned him. Dylan derided his friend for writing so explicitly about the world outside—Ochs would literally read "The New York Times" for song ideas—while Dylan was more introspective. Their approaches attracted very different fan bases. Beyond Hitchens, the film is loaded with a number of great interviews, from Ochs’ siblings, widow and daughter, to friends like Tom Hayden, Van Dyke Parks, Abbie Hoffman and Joan Baez, to fans like Sean Penn and Billy Bragg. Additionally, there’s a number of great concert footage of Ochs, much of it with remarkably clean audio than capture what a gifted singer, songwriter and guitarist he was. Director Ken Bowser weaves together all the archived materials and new interviews to offer a full, unflinching portrait of the man, who like so many geniuses, was terribly flawed. As they years pass, you can hear his power as a musician rise and fall, and watch as alcohol abuse slowly bloats his body. Phil Ochs' story is a tragic one that is told with the respect it deserves by “There But for Fortune,” a film that will make boomers all misty-eyed with longing for the '60s and turn many of their children into fans.